Join 1 year membership program (500 Baht) and get room discount. Retro Container Room ?Regular price 690/890/1,090 Member price 550/750/950 Baht. 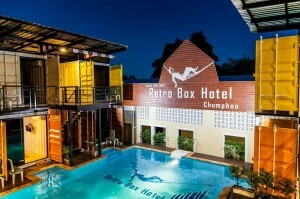 Retro Suite RoomRegular price 1,800 Member price 1,500 Baht. Sign up for the membership right now and get your discount!! !